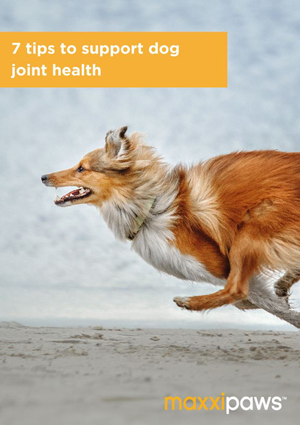 Most dog owners recognize the importance of good joint health for dogs. We have all seen dogs suffering from joint health problems, like arthritis or canine hip dysplasia. And we want to do everything we can to prevent our dogs from experiencing the pain and discomfort associated with canine joint problems. Good balanced diet and regular moderate exercise supports good joint health but is not always enough. Sometimes taking dog joint supplement is required to help prevent joint problems. 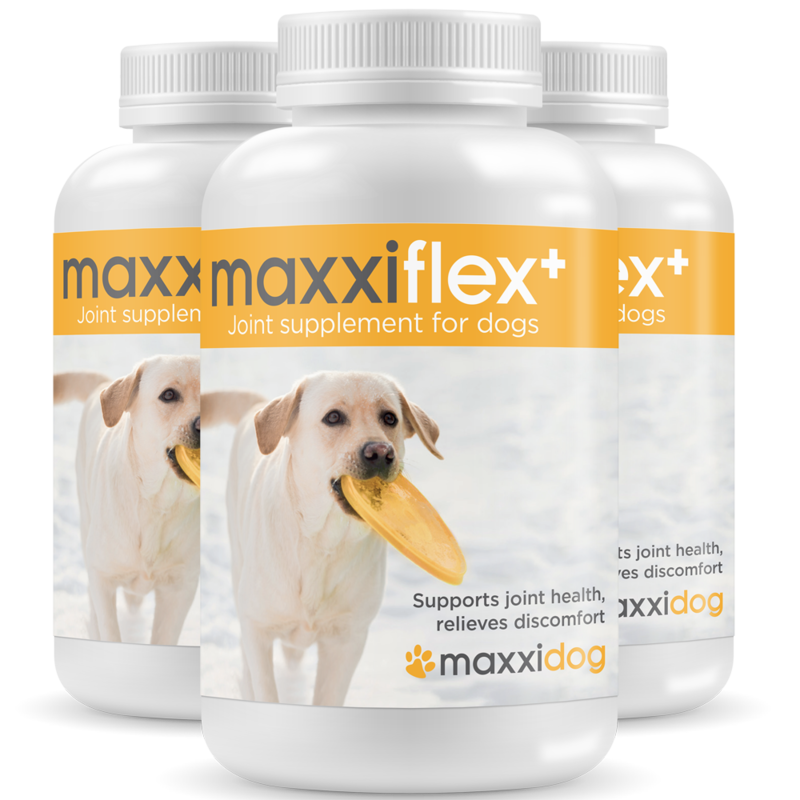 Good quality dog joint supplement like maxxiflex+ can help to prevent or delay joint problems and save you substantial amounts in Vet bills in the future. If your dog is already experiencing joint problems, you should seek professional advice from your Vet. You may need to adjust his diet and exercise routine accordingly and start using dog joint supplement if you are not already doing so. Dog joint problems are painful. Good dog joint supplement includes anti-inflammatory ingredients that act similar as mild dog joint pain relief. While massaging your dog can help to alleviate dog hip pain and ease the effects of stiffness.